Spencer Grayson’s structured world is collapsing. The surrogate he hired to carry his and his late wife’s child has gone missing and the wrong woman is inseminated. There weren’t supposed to be loose ends in this transaction, but it’s turning into a zero-sum game he can’t afford to lose. Artist Winter Alexander has painted a perfect picture for her life. But when a routine procedure results in an accidental pregnancy, the realistic portrait she painted turns surreal. It’s an error she can't brush away with a tube of titanium-white, no matter how much she might want to. Especially not when the Grayson is determined she become his substitute surrogate. To Grayson, Winter is an abstract piece, a collection of soulful shapes and swirls he’s hopelessly mesmerized by. One he wouldn’t have envisioned in his life before. 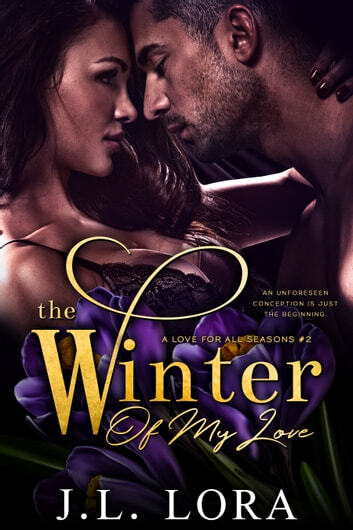 Winter finds Grayson controlling at first, but beneath those cold eyes lies a longing, a torch of desire and vulnerability that makes her agree to things she’d never considered. They embark on a 40-week journey in the name of a child, navigating through a sea of self-doubt, conflicting emotions and rising feelings. When these nine months are over, will Grayson be able to convince Winter to make him and the baby part of her picture-perfect landscape? What happens next is something neither of them sees coming. I have to say that I loved this second book even more than the first. The storyline was an interesting one with plenty of little twists and turns that made it hard to put down. This had me smiling and it also had me shedding a few tears. It was an emotional story that kept me enthralled the whole time. Book two in the A Love for All season this story deals with (PPD), it is handled in a caring way. Artist Winter Alexander and Spencer Grayson’s story held my interest throughout. A mix-up will bring these two together. I received a free copy of this book via Booksprout and am voluntarily leaving a review.